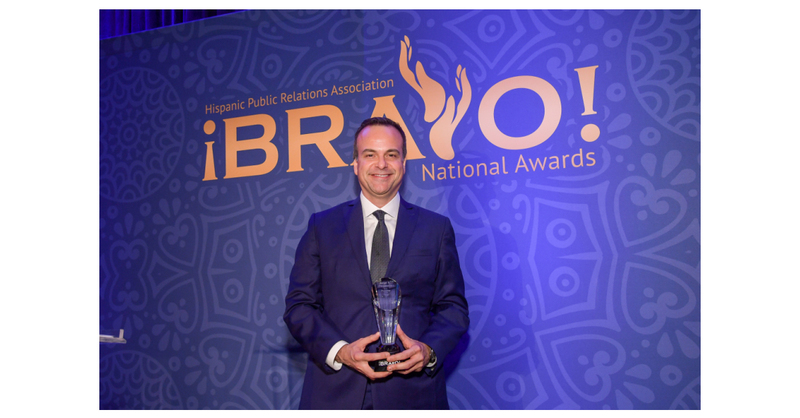 NEW YORK–(BUSINESS WIRE)–Jorge A. Plasencia, co-founder, chairman and CEO of Republica Havas, was recognized by the Hispanic Public Relations Association’s (HPRA) with its 2018 ¡BRAVO! Pioneer of the Year Award. The HPRA National ¡BRAVO! Awards are one to the most prestigious awards in U.S. Hispanic communications and marketing. The sold-out gala event was held at the Lotte Palace Hotel in New York City.